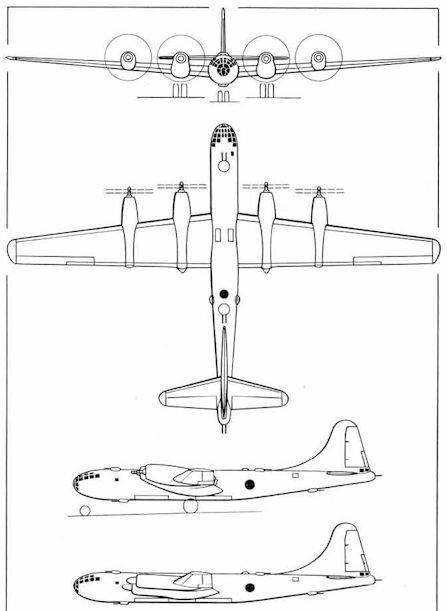 The general arrangement drawing above depicts the Tu-4 in the form proposed with TV-4 turboprops, the lower sideview illustrating the alternative version with TV-02s. The drawing shows the interior arrangement of the proposed production version of the Tu-80. It will be noted that the forward upper gun barbette was to have been semi-retractable. 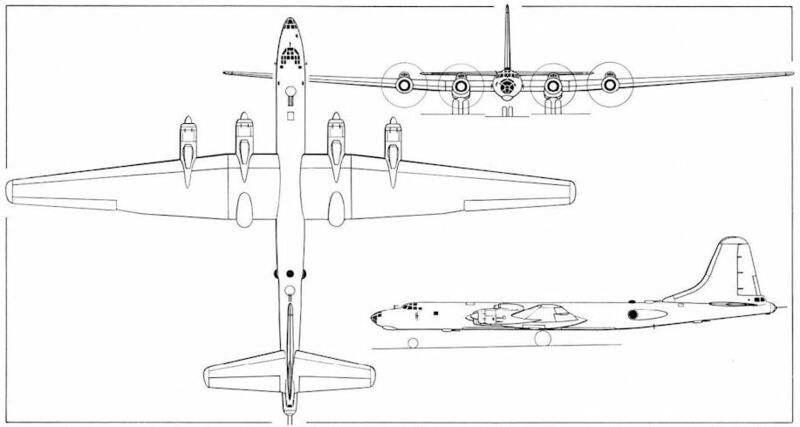 The Tu-80 was essentially similar to the Tu-4 apart from the lengthened fuselage nose, enlarged vertical tail surfaces and other design refinements. The Tu-85 remains dimensionally the largest aircraft ever built in the Soviet Union, and was the last combat aircraft of Soviet design to be powered by piston engines. 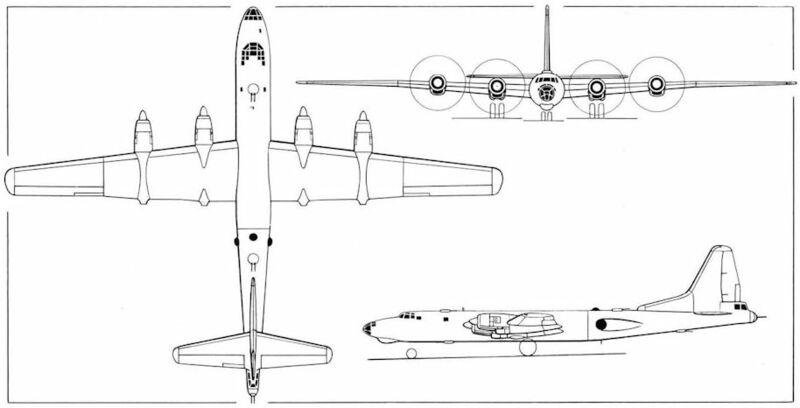 The general arrangement drawing of the Tu-85 reveal clearly its B-29 ancestry. Experience gained in the development of this immense aircraft was used in the design of the turboprop-powered Tu-95 which was to enter V-VS service as the Tu-20.